Switch FunctionOn-On. Mounting TypeThrough Hole. NEW & ORIGINAL . Actuator TypeStandard. 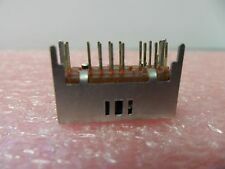 Product PhotosMMS12. 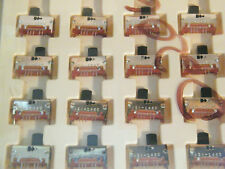 Featured ProductTE Connectivity Switches. 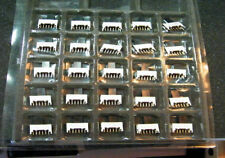 100pcs MINI SLIDE SWITCH - SPDT. SPDT (2 POSITION) ON - ON. ROUND GOLD PINS - DIA: . 039" / 1mm. NEW SWITCHES = FACTORY BOX. = = = This Sale for 100 PC LOT = = =. NEW SWITCHES AT BARGAIN PRICING! 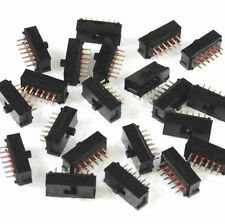 100pcs MINI SLIDE SWITCH - SPDT. SPDT (2 POSITION) ON - ON. ROUND GOLD PINS - DIA: . 039" / 1mm. = = = This Sale for 100 PC LOT = = =. PIN SPACING: . 118" / 3mm. 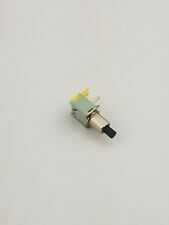 NEW SWITCHES AT BARGAIN PRICING! 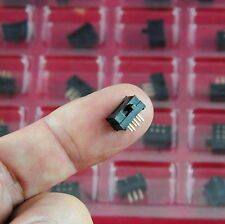 200pcs MINI SLIDE SWITCH - SPDT. SPDT (2 POSITION) ON - ON. = = = This Sale for 200 PC LOT = = =. ROUND GOLD PINS - DIA: . 039" / 1mm. PIN SPACING: . 118" / 3mm. 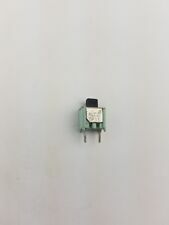 QUALITY SWITCHES - MADE IN JAPAN. SP5T 5-POSITION. 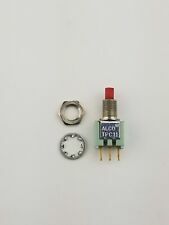 TE / ALCOSWITCH P/N MHS-90709F. 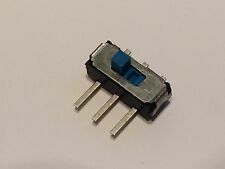 MINI SLIDE SWITCH. LARGE QTY AVAILABLE. WEIGHT : 0.078 oz / 2.1 g. ACTUATOR HANDLE HEIGHT : 0.2" / 5.1mm. HEIGHT (LESS ACTUATOR) : 0.3" / 7.7mm. Mounting TypeThrough Hole, Right Angle. Switch FunctionOn-On. Switch Travel3.05mm. Actuator TypeStandard. Actuator MaterialPolyester. 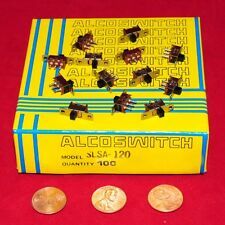 Alcoswitch TSS21NG-PC Slide Switch, allso marked AS-22. We are an electronics recycling firm dedicated to keeping good parts out of landfills. ) 2018-08-17. excellent service and product p r ( 421. ALCO MODEL MSSA-3350 3P3T SWITCHES. THIS LINK. ALCO MODEL MSSA-1450 SP4T SWITCHES. THIS LINK. 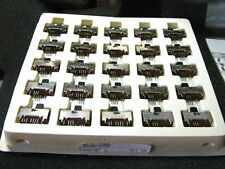 ALCO MODEL MSS-2250 DPDT SWITCHES. THIS LINK. ACLO - MRD16. 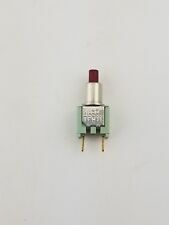 Dip Switch Hexadecimal 16 Position Through Hole Rotary for Tool Actuator 0.4VA 20VAC/DC. Rotary for Tool. Through Hole. Actuator Level. Height Above Board. Process Sealed. 2 Pieces per order. ACLO - SSV04. Slide (Standard). Through Hole. Actuator Level. Height Above Board. Process Sealed. 2 Pieces per order. 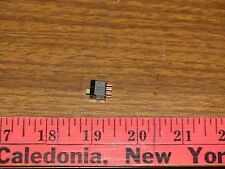 0.100" (2.54mm), Full. This switch has 2 positions. 5 PCS x ALCO ADPA08 . 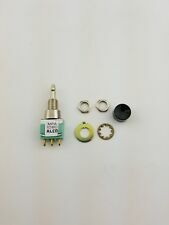 we have more parts for sale !